Don’t Fall for a Pyramid Scheme! Pyramid Schemes are classified as deceitful and fraudulent endeavors that are undertaken in order to benefit those responsible for its operation, while scamming a multitude of participants involved. Eponymously, Pyramid Schemes are aptly named after a pyramid. The shape of the pyramid illustrates both the hierarchy and profitability of Pyramid Schemes: the select few at the ‘top’ of Pyramid Schemes enjoy the benefits, while those at the ‘bottom’ of the pyramid typically sustain a variety of losses and trickery. Pyramid Schemes require participants lower in the hierarchy to solicit new participants, which subsequently exist below them with respect to the hierarchical structuring. As new participants are solicited, the revenue generated from them gets filtered upwards towards the ‘top’ of the pyramid, which results from the promise of financial gain in return for successful solicitation. 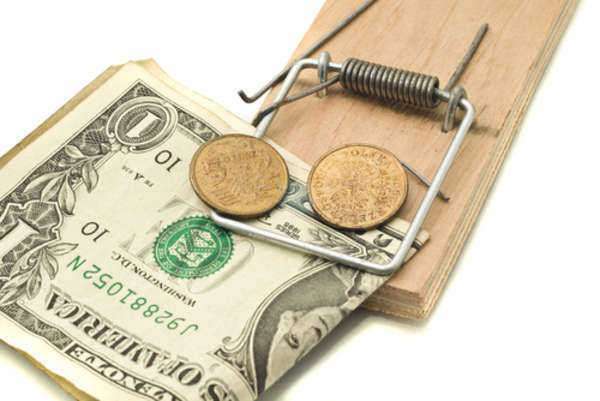 Ponzi Schemes involve monies, assets, or items from new participants to be allotted to preexisting participants under the guise of returns from profitable investments. Yet, the creators of Ponzi schemes simply satisfy preexisting debts with other debt. While the preexisting investors are deceived into trusting their investments, the newer participants are unknowingly responsible for the satisfaction of the replenishment of monies initially stolen from preexisting participants by the creators of the scheme. Applicable Punishment(s): Varies upon individual intent, criminal record, criminal history, and the victim(s) involved. While certain Pyramid Schemes never get off of the ground, others can be responsible for the theft of millions of dollars. Upon the conviction involving Pyramid Schemes, the creators can be required to repay all monies, assets, and items stolen from unknowing participants. Scheme: A deceitful, unethical, and illegal system or methodology constructed by illegal means in order to benefit its creators and cheat its participants. White Collar Crime: Crimes that are typically non-violent in nature. White collar crimes usually involve financial crimes and fraudulent investments targeted towards individuals with higher social, financial, and economical statuses. Financial Fraud: The act of purposefully defrauding individuals by misrepresenting the return(s), conditions, and statuses of investment opportunities. Misrepresentation: Falsely reporting or describing a product or service. In contrast to a fraud charge, misrepresentation does not always consist of the intent to deliberately misrepresent. In the event that an individual has been arrested on a Pyramid Schemes charge, they are encouraged to observe the behavioral protocol of the arrest process. Individuals are encouraged to consult with attorneys specializing in criminal law and, if possible, those who focus on Pyramid Schemes, Fraud, and Finance Law.